Jean Baptiste Perrin – French physicist. 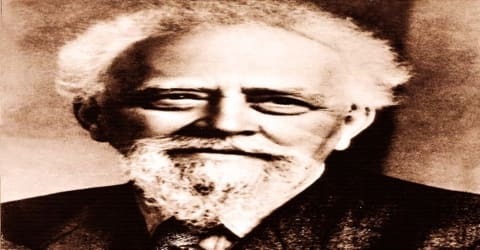 A French physicist who, in his studies of the Brownian motion of minute particles suspended in liquids, verified Albert Einstein’s explanation of this phenomenon and thereby confirmed the atomic nature of matter, Jean Perrin was born in Lille, France, on September 30, 1870. For this achievement, Perrin was honored with the Nobel Prize for Physics in 1926. Perrin began his career as an assistant in physics, and after the completion of his doctorate, got the opportunity to teach as a lecturer and then professor. Among his students was well-known physicist Pierre Victor Auger. As part of his research, he was able to prove several scientific theories including the Brownian motion and atomic nature of matter. He also determined the Avogadro’s number and electric charge of cathode rays through his studies. He was regarded by many as the founding father of the National Centre for Scientific Research. Jean Baptiste Perrin was awarded the Nobel Prize for Physics for ‘his work on the discontinuous structure of matter and especially for his discovery of sedimentation equilibrium’. He had also written and published several books and dissertation papers based on the research work he conducted. 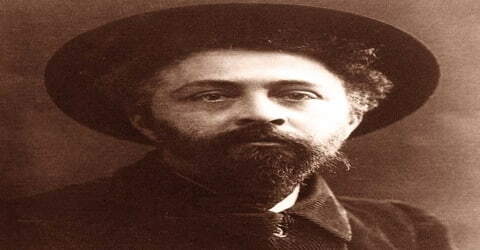 Jean Perrin, in full Jean-Baptiste Perrin, was born on 30 September 1870 at Lille in France. His father was an army officer who died due to injuries following the Franco-Prussian War. He had two sisters. Perrin attended the École Normale Supérieure, the elite grande école in Paris. 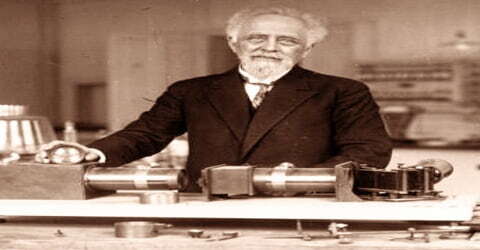 He became an assistant at the school during the period of 1894-97 when he began the study of cathode rays and X-rays. He was awarded the degree of Docteur ès sciences (Ph.D.) in 1897. In the same year, he was appointed as a lecturer in physical chemistry at the Sorbonne, Paris. He became a professor at the University in 1910, holding this post until the German occupation of France during World War II. In 1897 Jean Baptiste Perrin married Henriette Duportal, with whom he had a son and a daughter. Perrin was an atheist and a socialist. He was an officer in the engineer corps during World War I. When the Germans invaded France in 1940, he escaped to the U.S.A., together with his partner Nine Choucroun. During his early years at the University of Paris, Jean Baptiste Perrin continued his study of the atomic theory, which held that elements are made up of particles called atoms and that chemical compounds are made up of molecules, larger particles consisting of two or more atoms. Although the atomic theory was widely accepted by scientists by the end of the nineteenth century, some physicists insisted that atoms and molecules did not actually exist as physical entities, but rather represented mathematical concepts useful for calculating the results of chemical reactions. To them, the matter was continuous, not made up of discrete particles. Thus, at the dawn of the twentieth century, proving that matter was discontinuous (atomic in nature) was one of the great challenges left in physics. Perrin stood on the side of the “atomists,” who believed that these tiny entities existed. Perrin was initially appointed as a lecturer in Physical Chemistry at Sorbonne, University of Paris. In 1910, he became a professor there and remained in the post until the German invasion of France during the Second World War. He conducted research on a variety of topics but his initial studies were related to cathode rays and their nature, which he found to be negatively charged particles. The result of this study was shared by him in 1895. In 1901 Perrin even ventured (with no proof) that atoms resembled miniature solar systems. His interest in atomic theory led him to study a variety of related topics, such as osmosis, ion transport, and crystallization. However, it was colloids that led him to study Brownian motion, the basis of his Nobel Prize-winning discovery of the atomic nature of matter. After Albert Einstein published (1905) his theoretical explanation of Brownian motion in terms of atoms, Perrin did the experimental work to test and verify Einstein’s predictions, thereby settling the century-long dispute about John Dalton’s atomic theory. Carl Benedicks argued Perrin should receive the Nobel Prize in Physics; Perrin received the award in 1926 for this and other work on the discontinuous structure of matter, which put a definite end to the long struggle regarding the question of the physical reality of molecules. Using the newly developed ultramicroscope, Perrin carefully observed the manner of sedimentation of these particles and provided experimental confirmation of Einstein’s equations. His observations also enabled him to estimate the size of water molecules and atoms as well as their quantity in a given value. This was the first time the size of atoms and molecules could be reliably calculated from actual visual observations. Perrin’s work helped raise atoms from the status of useful hypothetical objects to observable entities whose reality could no longer be denied. From 1908 to 1913, Perrin, at first unaware of Einstein’s published paper on the subject, devoted himself to the extremely tedious but necessary experiments now considered classics of their kind. He hypothesized that if Brownian movement did result from molecular collisions, the average movements of particles in suspension were related to their size, density, and the conditions of the fluid (e.g., pressure and density), in accordance with the gas laws. Perrin began by assuming that both pollen grains and the molecules of the liquid in which they were suspended behave like gas molecules, despite the much greater size of the grains. Perrin was the author of a number of books and dissertations. Most notable of his publications were: “Rayons cathodiques et rayons X”; “Les Principes”; “Electrisation de contact”; “Réalité moléculaire”; “Matière et Lumière”; “Lumière et Reaction chimique”. His previous research with regard to the particle theory enabled him to calculate ‘Avogadro’s number (N)’, which is the number of gram-molecule of a gas. His experiments consequently led to the establishment of the theory of ‘discontinuity of matter’. His other research work included the effect of X-rays on gas conductivity, disintegration of radium, understanding fluorescence, and the release and dissemination of sound. In 1919, Perrin proposed that nuclear reactions can provide the source of energy in stars. He realized that the mass of a helium atom is less than that of four atoms of hydrogen and that the mass-energy equivalence of Einstein implies that the nuclear fusion (4 H → He) could liberate sufficient energy to make stars shine for billions of years. A similar theory was first proposed by American chemist William Draper Harkins in 1915. It remained for Hans Bethe and Carl Friedrich von Weizsäcker to determine the detailed mechanism of stellar nucleosynthesis during the 1930s. In 1925, Perrin became one of the first scientists to use an electric generator capable of producing a continuous current of 500, 000 volts. At the time, he predicted that someday much larger machines of this type would let physicists bombard atoms, and thus make important discoveries about the structure of these particles. In 1927, Perrin along with physiologist André Mayer and chemist André Job established the Institut de Biologie Physico-Chimique. The institute was funded by Edmond James de Rothschild, a member of the Rothschild banking family. In 1929 after being appointed a director of the newly founded Rothschild Institute for Research in Biophysics, he was invited to the United States as a distinguished guest at the opening of Princeton University’s new chemical laboratory. In 1936 Perrin replaced Nobel laureate Irene Joliot-Curie as French undersecretary of state for scientific research in the government of Premier Léon Blum. The following year, as president of the French Academy of Science, he assumed the chair of the scientific section of an exhibit in the Grand Palais at the 1937 Paris exposition. The project enabled him to help the average person, including children, to appreciate the wonders of science, from astronomy to zoology. Perrin authored several books and scientific papers in his lifetime. Some of his important papers were ‘Cathode rays and X-rays’ (1897), ‘The principles’ (1901), ‘Contact electrification’ (1904-1905) and ‘Light and chemical reaction’ (1925). Important books written by him include ‘Principles of thermodynamics’ (1901), ‘Evidences of molecular reality’ (1911), ‘Matter and light’ (1919), ‘Transition chemical forms’ (1931), ‘The organization of scientific research in France’(1938) and so on. Perrin is considered the founding father of the National Centre for Scientific Research (Centre National de la Recherche Scientifique (CNRS)). Following a petition by Perrin signed by over 80 scientists, among them eight Nobel Prize laureates, the French education minister set up the Conseil Supérieur de la Recherche Scientifique (French National Research Council) in April 1933. In 1936, Perrin, now an undersecretary for research, founded the Service Central de la Recherche Scientifique (French Central Agency for Scientific Research). Both institutions were merged under the CNRS umbrella on October 19, 1939. His notable students include Pierre Victor Auger. Jean Perrin was the father of Francis Perrin, also a physicist. In 1940, at the time of German occupation of France during World War II, Perrin emigrated to the United States of America and spent the rest of his life in New York. Jean Baptiste Perrin was awarded the Nobel Prize for Physics in 1926. Perrin was also the recipient of numerous prestigious awards including the Joule Prize of the Royal Society in 1896 and the La Caze Prize of the French Academy of Sciences. He was twice appointed a member of the Solvay Committee at Brussels in 1911 and in 1921. Perrin also held memberships with the Royal Society of London and with the Academies of Sciences of Belgium, Sweden, Turin, Prague, Romania, and China. He became a Commander of the Legion of Honour in 1926 and was made Commander of the Order of Léopold (Belgium). 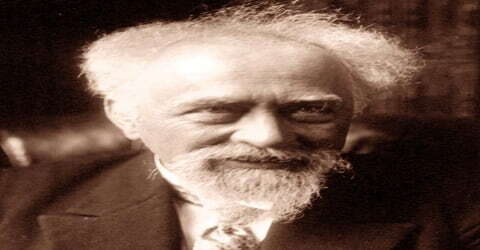 Jean Baptiste Perrin died on 17 April 1942 at New York at the age of 71. His mortal remains were transported to France after World War II and buried at the Panthéon in Paris. Perrin is remembered for his research and studies in colloids and his contribution in confirming the Brownian movement. His other significant contributions to science include studies on the nature of cathode rays and validation of the atomic nature of matter. In addition, Perrin held honorary degrees from the universities of Brussels, Liège, Ghent, Calcutta, and Manchester and from New York, Princeton, and Oxford universities. Perrin was also a member of the Royal Society of London and scientific academies in Italy, Czechoslovakia, Belgium, Sweden, Romania, and China. Biography of Johann Strauss Jr.